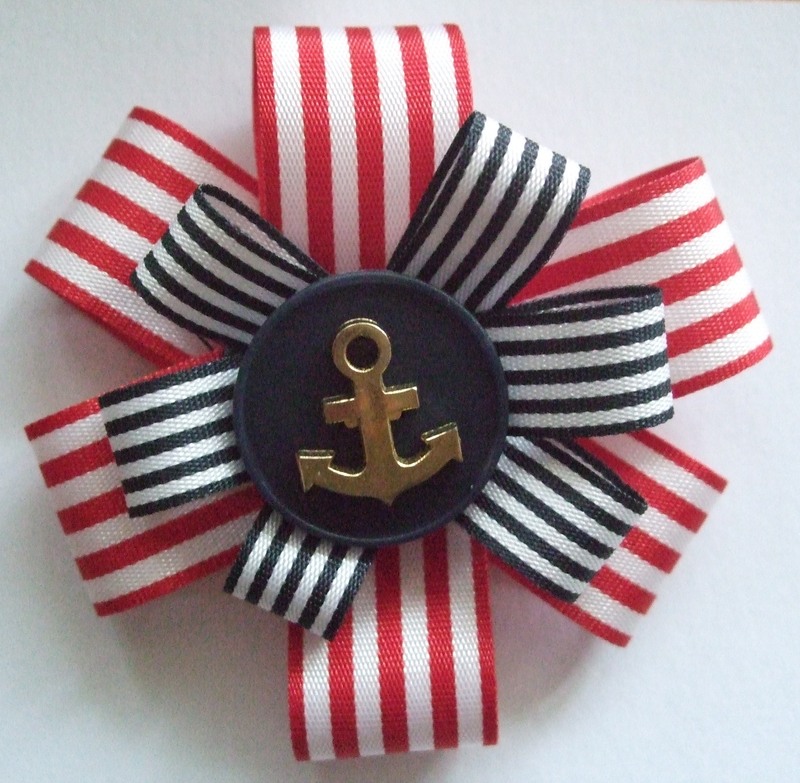 I experimented with some stripy ribbon and a nautical button, and made this brooch (below), which I’m very pleased with! It inspired me to make others like it to give as gifts for Christmas. I don’t think I will use it on my skirt, but it was good to have a little play. Start with an oval for the head (see diagram below). Draw an upside-down triangle underneath, for the upper body. 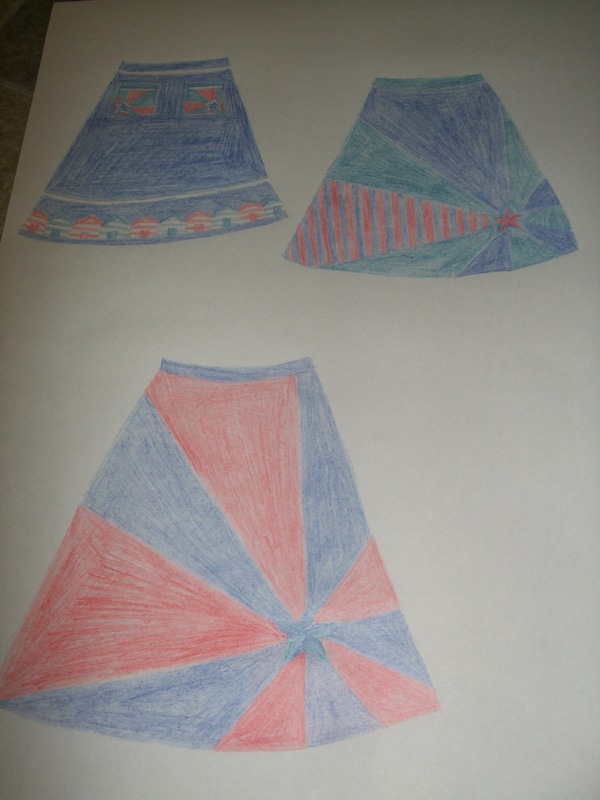 Draw another triangle, the same size as the first but the right way up, for the hips. Draw two long triangles for the thighs. Draw two long kite shapes for the calves. Add two triangles for the feet. Draw triangles either side of the upper body triangle for the upper arms. Draw two more triangles either side of the hips for the lower arms. Add two small triangles for the hands. 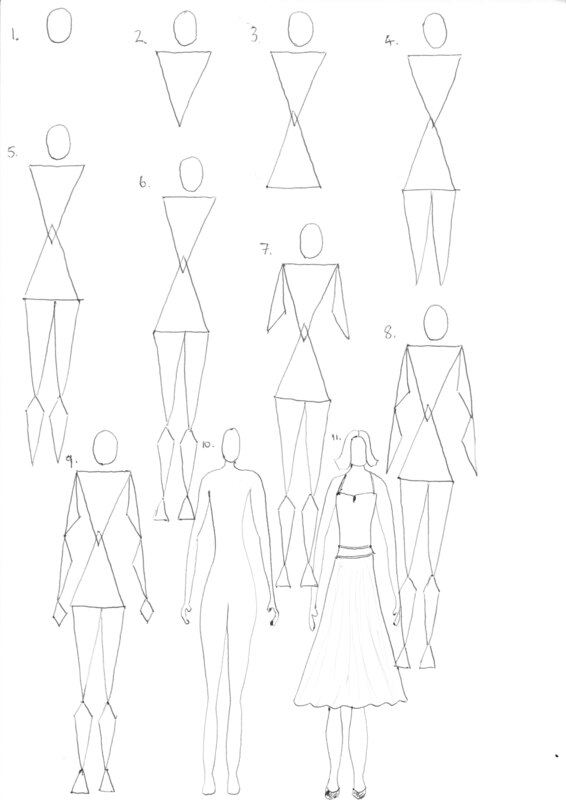 Now turn over to the page in front, and use the lines as a guide to draw a more curved version of your figure. Turn over again, and add clothes! Debbie made it look very easy, but we all found it quite tricky to get the proportions right. This is my first attempt: the shoulders are far too wide and the thighs are like tree trunks! 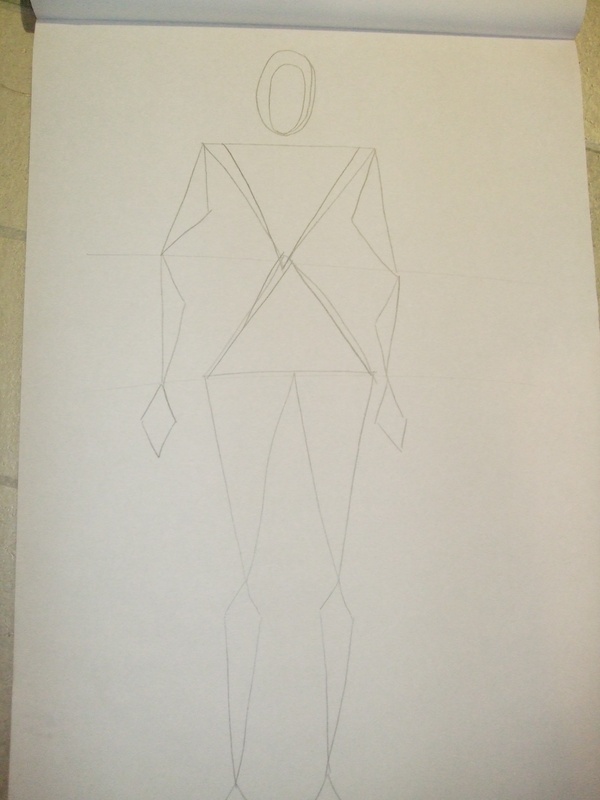 My first attempt at drawing a fashion figure - at least there is plenty of room for improvement!!! I did manage to improve, but I still need more practice. All my figures have giant thighs (perhaps how I see myself?!). Anyway, once you’re happy with your fashion figure, you can just keep tracing it through the layout pad and concentrate more on designing the garment!